Experience the world and culture with fantastic photography and the great writing you expect from the contributors of National Geographic Magazine. 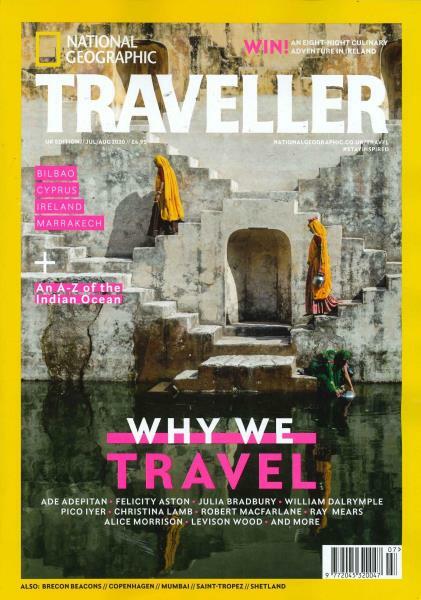 Buy a single copy or subscription to National Geographic Traveller magazine. Due to its illustrative, vibrant and handy content, it has gathered a huge readership across the globe. It fosters journeys that are about place, experience, culture and great photography. Making a distinction between tourism and travel, emphasizing and highly stressing on inquisitive and not acquisitive trips, makes it the world's most widely read travel magazine. It provides a platform to all the nature lovers, who love travelling to various destinations and explore this world, to share their adventure, narrate their experience of witnessing various topologies. It brings unrevealed facts, myths, ancient history to cognizance of the serious history buffs. It, with the help of illustrative content, helps even the beginners to understand the complexities of tedious subjects in a very effective and lucid manner. Purchased already as a gift and inlaws love it,so second subscription for a new recipient as recommended so much!